You’ve been in business a few passion-filled years and you’re ready to step into the biggest, boldest, badass-iest version of yourself like the total rockstar you are. You know if you wanna do some real good in the world, you need a major impact, and you gotta shout your message from the digital mountain tops! But to get there, you need a solid brand that communicates your value to customers, a strategic website that does the selling for you so you can focus on growing your business, and a platform that positions you as the expert you are so you get that book deal, get featured in Forbes, launch that podcast, or nab that high-powered speaking gig. Maybe you’re a health coach teaching others how to eat better or find exercises that are right for them. Perhaps you own a gym or are a yoga instructor empowering others to live more healthful lives. Or maybe you’re an energy worker, therapist or hypnotist inspiring others toward self-acceptance, inner peace, and love. Maybe you’re a business or life coach helping people to achieve a more heart-centered life with more adventure, growth, and impact. Or perhaps you’re a life coach guiding people to breakthrough personal blocks that have held them back in their personal or professional life. Maybe you’re using your creativity like writing, cooking, painting, music, interior design, or gardening to inspire others, we’ll work together to transform the world one craft at a time. Learn the exact steps to design a beautiful, strategic website that’ll turn heads and convert your visitors into customers so you can spend more time building your business and paying your bills. Let’s review your existing website and digital strategy to assess what’s not working in your marketing and on your website, what could be improved, determine your biz priorities, and set strategic goals before jumping into a full blown website re-design project. 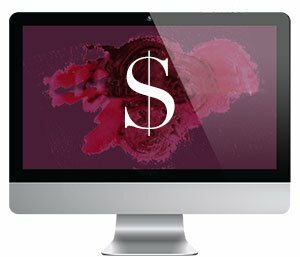 Let’s uplevel your business by turning your brand and website into a strategic selling machine online and off, (while still looking damn good in the process.) Ready to see your business go to the next level?